It is often said that the hardest things in life are the most rewarding. That nothing good comes easy. I hope they’re right, because 2014’s planting season was anything but easy. 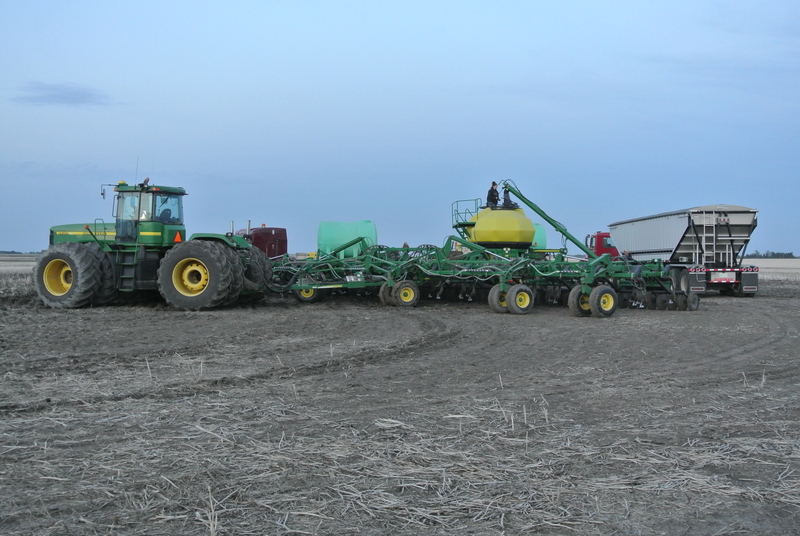 The long, drawn out affair that was #plant14 has finally drawn to a close for Leguee Farms. 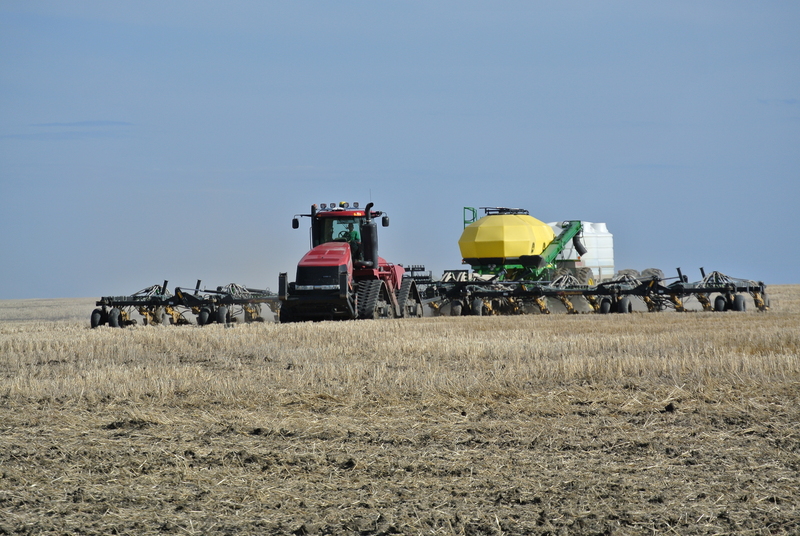 It was a season full of challenges; from the frustrations of setting up a new drill, to the apprehension and anger over rain that just wouldn’t quit, this year’s seeding operation was difficult, discouraging and nerve-wracking, to say the least. Finally, after what seemed like an eternity, the wet weather cycle we were in started to fade, giving us the window we needed to finish seeding. 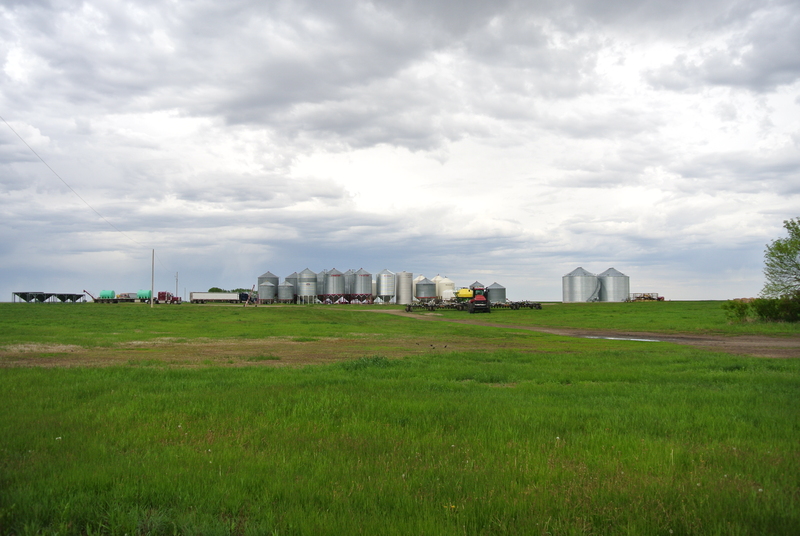 A severe storm on the 26th of May stopped us for quite some time, and even when we did get back to the field, we were shocked at just how wet it was. While the surface was hard and fairly dry, digging even a quarter of an inch down yielded soggy, sticky mud. Seeding into these conditions is something we generally try to avoid; mud sticks to the openers, plugging them constantly, and one slip of the tractor tires can get you into trouble awfully quickly. 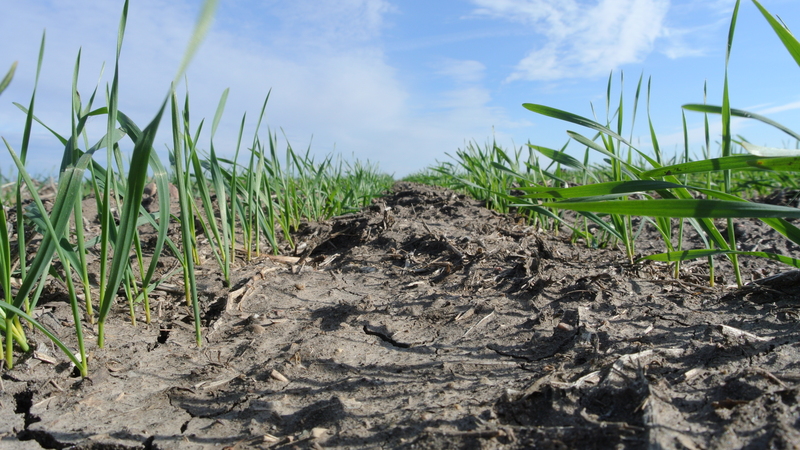 Furthermore, our heavier soils tend to solidify if disturbed while they are wet, which often can severely compromise a plant’s ability to punch through and survive. Nevertheless, the calendar and the forecast forced us to seed anyway, as June had already begun. We had no choice but to try and plant what we could. After all, we have been forced to do this for the past 4 years, so I suppose we really shouldn’t be all that surprised anymore! We pushed to finish seeding as quickly as we could, with even more rain just around the corner. The arithmetic was really quite simple: we had only a few days to seed 30% of the crop, a truly insurmountable task for the equipment we have. So, with the knowledge that we would likely be shut down once again, we drove on, trying to seed every acre we could before the next rain. The rain began all too soon for us. Although we had managed to finally finish seeding our canola and durum (4 of 7 crops completed), over 1,300 acres still remained to go in the ground. I think the biggest frustration was something that every farmer has experienced some time or another; we were shut down on attempt #2 to finish our final soybean field. We just could not get that field finished! Sometimes, a field just happens to be in the storm track, and you can’t miss a single rain. More rain fell after that, delaying us further, and a cursory glance at the calendar was all it took to realize our time was running out all too quickly. At that point, you begin to do some math. If we don’t get field X seeded, what will happen? What if we can’t get the flax in? What will happen with our production contracts? Will we still have a chance at a profitable year? And on, and on. Even the most optimistic farmer entertains the thought of the probability of unseeded acres. But then, seemingly out of nowhere, the fields dried up (kind of- at least enough to seed) and we were back out there again. With the equipment we have now, seeding that last 1,300 acres went pretty fast, first with the cursed soybean field, then the wheat, and finally, as of Saturday afternoon, only one field of flax remained. We seeded all day yesterday, and literally one hour from finishing the field, we got rained out. I couldn’t believe it! This morning, we officially wrapped up seeding for 2014. Yes, there are still some low spots to seed, and yes, we probably won’t have everything cleaned up for a few days, but I’m calling it here- we are finished seeding! The equipment is finally parked! The completion of seeding always brings a mixed bag of emotions. Relief is the main one. Knowing that the crop is in the ground is an incredible feeling, but it comes slowly. Today, it is still sinking in, and I think it will be a few days before I can really relax. The unfortunate thing about finishing seeding so late is that there really is no celebration. There is no time to take a few days off, no time to sit and reflect on what has been accomplished. 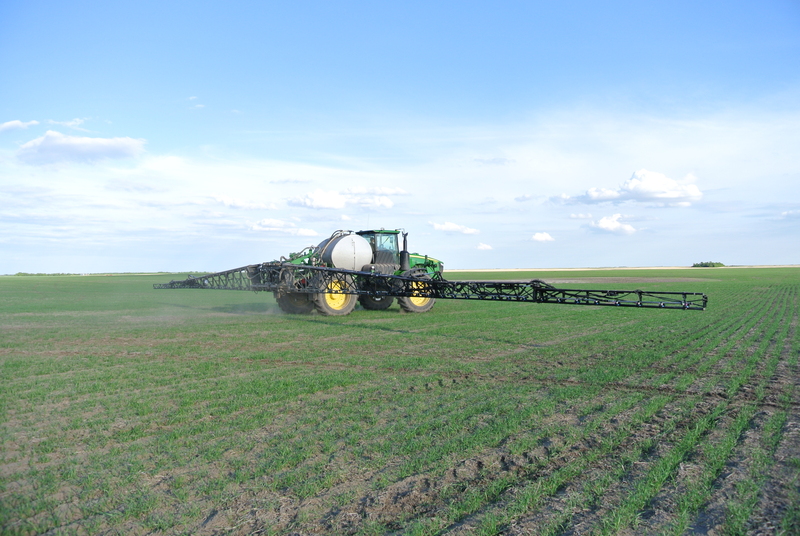 No, in-crop herbicide spraying has already begun, and just as fast as seeding is over, another marathon begins. There is a mountain of data from the controllers on the drills to sort through, Crop and Hail Insurance forms to fill out and send away, quarterly cash flow analysis to go over, and tons of yard work to do. Yes, completing seeding is a wonderful feeling. But when it happens so late in the season, the marathon only slows down- it doesn’t end. Not yet, anyway. That day will come when the combines are cleaned up and put away and the first blanket of snow graces the landscape. I’m not ready for that anyway. Despite the exhaustion, the frayed nerves, and the now-empty bank account, I’m excited for the next stage of the season. We have arrived at what truly is my favorite time of the year: in-crop herbicide timing! Thanks for reading! I’ll be sure to check your blog out. Good luck with your journey.